The current exhibition of photomontages and photographs by Alexander Rodchenko (1891-1956) at London’s Hayward Gallery is one of the most comprehensive retrospectives of his work ever held. Rodchenko’s life is a powerful reminder of the creative energy unleashed by the Russian Revolution of 1917 and how it was strangled by the Stalinist counter-revolution. 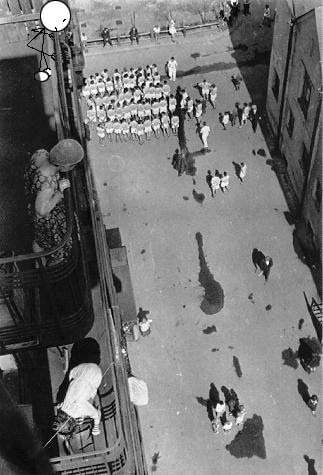 In 1924, Rodchenko took up photography and was soon capturing a person’s character or a particular event in a new and unique way. The second room of the Hayward Gallery has many of these early pictures, which have become iconic images in the history of photography, including the intimate 1924 photograph Mother and the portraits of his friends and comrades in the “Left Front of the Arts” (LEF) such as Mayakovsky and Osip Brik, made all the more poignant by the fact they all, in one way or another, became victims of Stalin’s terror. For Rodchenko, “how to shoot” increasingly meant taking his photographs from unusual perspectives and angles—“from the top down,” the “bottom up” and “their diagonals.” He later explained how, in 1925 in Paris, “when I first saw the Eiffel Tower from afar. I didn’t like it at all. But once I was passing nearby on a bus, and when I saw the lines of the metal diminishing upwards, from right and left through the window, this perspective gave me the impression of the mass and the construction, which ‘from the navel’ creates only a gentle spot, the one we’re so sick of on all those postcards.” Several photos taken in the neighbourhood of Rodchenko’s small apartment in Moscow, including Fire Escape with a Man (1925) and Assembling for a demonstration (1928-1930), still demonstrate the thought-provoking manner of this way of taking photographs. Rodchenko’s preoccupation with unusual perspectives and angles was derived from conceptions he began to develop in his youth. 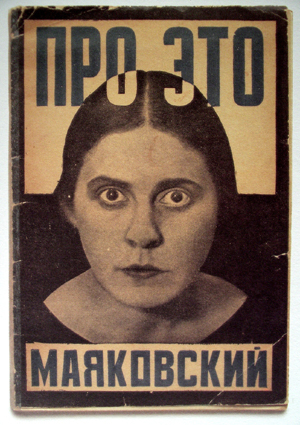 Prior to the revolution, Rodchenko attended art school in Kazan, where he met his lifelong companion, Varvara Stepanova (1894-1958), and joined the Futurist movement led by Mayakovsky, David Burliuk and Vasily Kamensky. He then moved to Moscow and took up painting, working alongside leading artists such as the Constructivist Vladimir Tatlin. In many ways, these conceptions mirrored those put forward by the supporters of “Proletarian Culture” (Proletcult), who were to form the core of the All-Russian Association of Proletarian Artists (VAPP) and who led the attacks on Rodchenko and LEF in 1928. Both trends were criticised by Leon Trotsky who warned, “To reject art as a means of picturing and imaging knowledge because of one’s opposition to the contemplative and impressionistic bourgeois art of the last few decades, is to strike from the hands of the class which is building a new society its most important weapon.” He rejected the possibility of forming “proletarian art,” explaining that by the time the working class had had time to create a new culture, the conditions for the transformation to a classless society would already have developed. The new culture would be non-class and express universal human values of solidarity and equality. 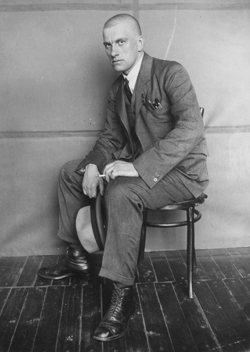 Rodchenko continued to help Mayakovsky with his retrospective show “Twenty Years of Work,” but the lack of interest shown by the press and VAPP leaders “poured oil on the fire of Mayakovsky’s feelings of loneliness.” On April 14, 1930, the poet, who had joined the Bolshevik party in 1908 at the age of 16, committed suicide. In the same year, VKhUTEMAS was closed, and in the following year, the October group Rodchenko founded with the photographer Boris Ignatovich was also shut down. 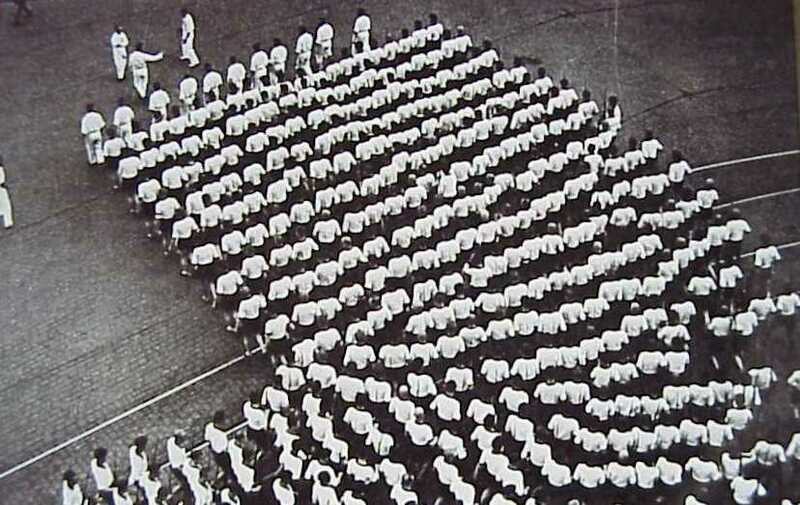 By early 1933, Stalin’s policies had helped deliver the German working class into the hands of the Nazis and brought about the downfall of the Communist International as a revolutionary instrument. From 1934, the bureaucracy ruthlessly imposed its anti-artistic and anti-Marxist doctrine of “socialist realism,” sealing the fate of creative cultural life. Rodchenko was not spared. He was forbidden to photograph independently and only allowed to cover military parades, sporting events (Diving) and the circus (The Rhine Wheel). His unique way of seeing the world still shines through. Rodchenko was commissioned to carry out several photo-reportage projects for magazines such as USSR Under Construction, but they can only be described as propaganda exercises for the regime. 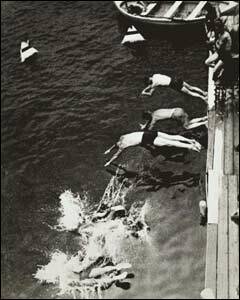 One of the most infamous was the book Belomor-Baltic Canal Named After Stalin, which documents the construction of the 140-mile-long waterway in 500 gruelling days by political prisoners and convicts. An imprint of Stalin’s face adorns the front cover whilst inside are sanitised photographs such as Workers Orchestra where weary workers labour away in the depth of a lock whilst an orchestra plays above. Rodchenko still manages to produce one of the most poignant pictures in the exhibition, Girl with a Leica 1934, which depicts his assistant, Evgenia Lemberg. Hidden by the half-light and meshwork enveloping her like a cage, the young woman whom Rodchenko had fallen in love with was to die shortly afterwards in a railway accident. Sviblova’s statement is symptomatic of the main problem with the exhibition—its superficial treatment of the historical context of Rodchenko’s life and works. Nevertheless, she is to be congratulated for assembling such a comprehensive collection of pictures, and you should try and get along to see them.